An Organic Multiplatform Transmedia Experience? This is where I live at the moment and where, I believe, I had a compelling multiplatform experience. It was about two weeks ago. It involved personal life and death decisions, it involved loved ones, friends who lost everything, physical exertion, quests and games, feeling part of and working with a community, rich information, lots of information, the authorities, the law, anxiety, stress, stories of loss and heroism and making profound choices. In a world where all the statistics on simultaneous tablet/mobile and TV are indicating a massive increase in the behaviour, why are TV broadcasters and 3rd party providers creating 2nd screen services making very poor experiences for audiences? Can content owners and TV broadcasters make the most of this opportunity or have they lost the battle already? Will Twitter, Facebook, GetGlue or other dedicated 3rd party services run the show and begin own the TV communities that spring up at each episode? What are the best approaches to creating 2nd screen but hasn’t all of this been done before? I try to answer a few of these questions and more raised plus highlight some recent and very old interesting examples. This article is aimed at producers, experience designers, broadcasters and tech companies making or considering jumping into re-emerged interactive TV now known as 2nd screen. 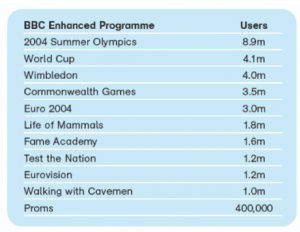 It takes the learnings of broader interactive TV from decades old user behaviour in this space combined with the relatively new additional layer of the social alongside TV behaviour. (it also features some late 2010 introduction extracts also from my upcoming social 2nd screen ebook). There is a lot of information below which hopefully some of it made sense even if you are a user only of 2nd screen services, as it does go behind the scenes. 10 key points covering the back-story, how to improve, process and a bit of where next. 95% of viewing is still via broadcast TV (Oztam multiscreen report) – but where is audiences attention? 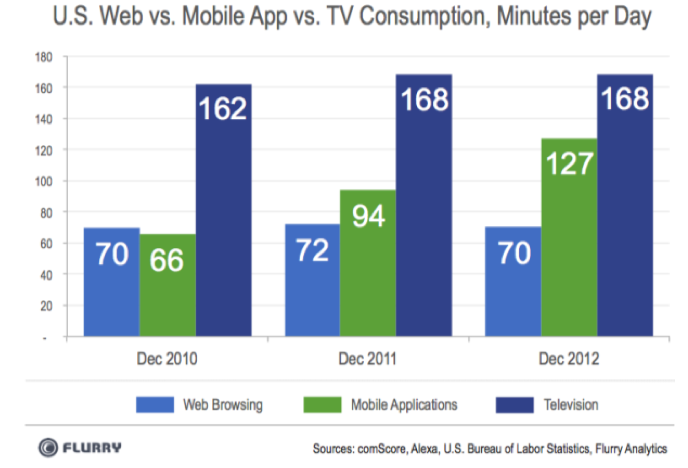 At this rate Mobile will become the 1st Screen this year?! 1. This is not new folks. 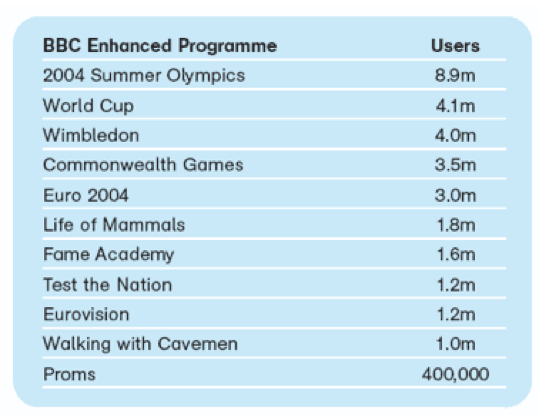 iTV, ‘eventized programming’ and 2nd screen are as old as the hills, with a heritage going back over 60 years. 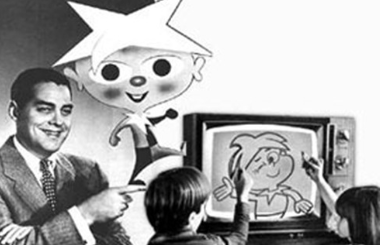 In fact the oft mentioned Winky Dink and You from 1953 to 1957 actually had kids using a 2nd screen! A piece of plastic they placed over the TV, to draw on, to interact with various ‘impasses’ the characters threw at the kids. Think of the simple equivalent today -an iPad with a cliff hanger still frame from the animation that required kids to draw a solution – “come on there is only 20 seconds left before the wind comes – we need you to draw the windmill! You will be rewarded!”. Then there is this new social thing. Today we have rock solid social ‘network’ applications where audiences talk, shout, pout and scream about the program as it plays out. It is now a global extension of traditional water cooler ‘behaviour’, not a new phenomenon but now real time and worldwide, shared outside our immediate physical community. For franchised TV this is a blessing and curse – plot spoilers and reveals long before it moves into new territories – but I go off track. Without doing a full history lesson there are many predecessors to 2nd screen. Good interactive TV has never been about the tech but about the ‘behavioural need’ – bad interactive TV is created by non-creatives and limited by vanilla templates or rely on 3rd party interactions shared across a range of broadcasters. But the audiences desire to interact and play-along with TV – whether it is single screen red button style (15 years old), synchronised laptop against TV (12 years old) or mobile devices against TV (6 years old at least) have many lessons that have already been learned. So it is odd that many of today’s broadcasters and technology companies are nervously dipping their toes into the waters again, using ground zero methodologies, “it requires a new way of thinking and it is ‘delusional’ to think we know what will work and what won’t” attitude. Wikipedia has a simple para inside its Interactive TV article which refers to the US 2nd screen model from the late 90s. Notable Two-Screen Solutions have been offered for specific popular programs by many US broadcast TV networks. Today, two-screen interactive TV is called either 2-screen (for short) or “Synchronized TV” and is widely deployed around the US by national broadcasters with the help of technology offerings from certain companies. So why are traditional TV producers and service providers who have never done interactive TV before making so many mistakes? Why are broadcasters foolishly developing cul de sac, land grab strategies? What is the better route? Is there any difference between social and 2nd screen TV propositions? 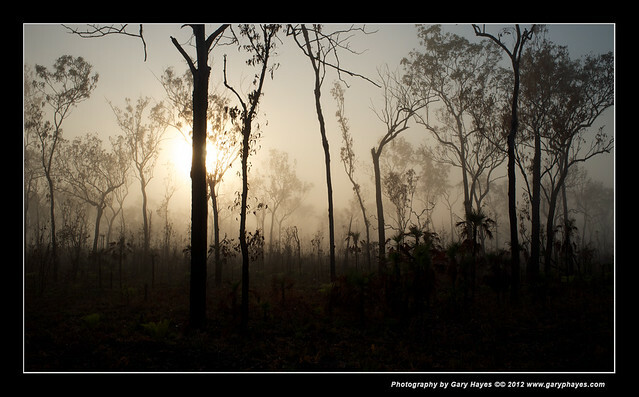 I was invited to present to a small public group last month on Media Futures up in the Northern Territory here in Australia – this followed an ABC only presentation. I generally don’t do the Futurist thing, I feel uneasy, stepping into tarot, astrology or doom sayer territory, where many factors such as user behaviour, new devices or new format/marketing development are on unpredictable shifting sands. So I prefer to call my approach to future ‘no brainer’ism’. There are some things that are so obvious, in terms of where we are heading, that simple trends analyses will give us some clarity in around a 2-5 year timeframe. I will let my long 2 hour (130 slide!) presentation speak for itself below but the premise felt pretty unremarkable from my perspective. I am worryingly developing a rather ‘elder-like’ “nothing-new-under-the-sun” attitude. Also some predictions are just too obvious. Making the jumps from smartphones to wearable computing to bionic connectivity to singularity is not what I am talking about here, but a much more near term ‘what will most of us be doing in a few years time’ – but several at the presentation apparently still had their minds blown!? I think that ailment is treatable. Social Share & Online Connection – What is the end result of ‘society’ existing mostly online? On-Demand TV & Everything Else – What does it mean if appointment to view goes away, do we need to learn if everything is on tap, will a million digital campfires light up the landscape? Mobile & Locationalism – We carry the world with us. But what happens when the digital world is layered over the real world? Transmedia & Content Everywhere – There are no device boundaries. When content is truly free to move across every device, will all our, stories our life memories follow us across our personal media channels? Gary Hayes, Futurist and New Media Evangelist – The media and storytelling landscape is constantly changing but in the last six years we have never seen such monumental change. Gary takes us on a journey from the old days of new media through to the very near future using current examples of the work in ABCs Multi Platform TV team through to other cutting edge examples of Augmented Reality, Transmedia, Social Media Storytelling and Games. Gary Hayes, an award winning multi platform producer, is currently executive producer at ABC Multi Platform TV and also directs transmedia training unit StoryLabs.us. Throughout his extensive career he has worked across the UK music and multimedia industry including the development of the internet, interactive TV and cross platforms for the BBC. He is a regular keynote speaker, consultant producer in social & transmedia to the TV, Film and Arts industries. He has also been an International Interactive Emmy juror for the past three years. His media innovation blog personalizemedia. com has been in top 10 Media & Marketing for over 2 years and he runs 11 other sites linked from garyphayes.com. WHAT DO ‘NORMAL’ PEOPLE CALL THIS ‘NEW’ STUFF? As an industry (digital, interactive, multi-platform, transmedia?) we have not provided normal ‘users’ with a term they can use. The other 6 billion people on this planet are not going to call the services that ‘combine’ or utilise the use of media platforms, any of the above names, any time soon – so we need to get back to the drawing board folks. If this were sport and we had just invented a sport that combined ten of the Olympic Track and Field events what would we call it? What about a sport that mashed together swimming, cycling and running in a sequential narrative, what would that be called? More importantly what would we hope the spectators would call it. WHAT DO CREATORS CALL THEIR EMERGENT ‘STUFF’? But alongside this search for a ‘meaningful’ term, we have impatient wannabees screaming “forget all the semantic waffle and lets get on with making it”. But what are we making? Please explain! ‘carefully designed story elements across multiple platforms’? Is that it? Is it about widgets, services, entertainment, money, art, kool-aid, social change, advertising or all of the above? We are in an exciting emergent period of change, of ‘hybrid’ platform story telling yet settling on a specific term such as ‘transmedia’ or any of the other 10 or so contenders to describe it all is very odd. But here is the problem in a nutshell.